Diana Wall was promoted to EMS Lieutenant. Her position will be a staff position having administrative responsibilities. Steve Weigold will be serving as West Alexandria’s new Assistant EMS Chief. 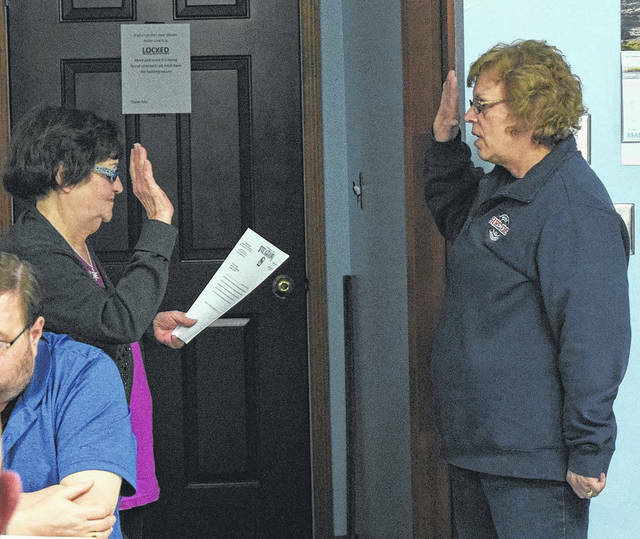 WEST ALEXANDRIA — The Village of West Alexandria swore in a new Assistant EMS Chief during a village council meeting on Monday, March 19. After Sherri Scott stepped down from the position, EMS Chief Tom Smith presented Steve Weigold to be sworn in by Mayor Carol Lunsford. Assistant Chief Weigold is a 30-plus year veteran of Fire and EMS service, having started as a cadet in the mid 1980s with a Hamilton County, Ohio department. Though a Cincinnati native, Weigold has served departments ranging in size from large countywide departments to small rural departments in multiple states, in both fire and EMS capacities. He most recently retired from a Butler County department after 20 years of service, 15 of which were as a Command Officer, and having been promoted to the rank of EMS Chief. After a short hiatus, Weigold decided to return to public service and chose West Alexandria EMS on the advice of a former colleague also currently serving on the department. He has been serving the village and Twin and Lanier Townships now for over a year. Weigold received his paramedic training at D. Russel Lee JVS and graduated valedictorian in early 2001. He has also been educated at the University of Cincinnati in Engineering and served in the US Navy as an electronics technician. When Weigold isn’t busy with EMS duties, he operates a small technology consulting business and enjoys motorcycles, scuba, and kayaking among other pursuits. He and his wife currently reside in Butler County. Mayor Lunsford read a letter EMS Lieutenant and Training Office Pat Kincer wrote regarding Weigold being promoted to Assistant Chief. While Scott will no longer be serving as Assistant Chief, she will continue to volunteer with the department. “I wanted to publicly thank [Scott]. I know she was put in a tough position here about a year and a half ago. She stepped up and did what was needed to be done. She helped me transition into Chief, and has helped me out with a lot of stuff that I hadn’t handled before. She was able to educate me in some of those ways. I appreciate your time, Sherri,” Chief Smith said. In other EMS news, Diana Wall was promoted to EMS Lieutenant during the same meeting. Her position will be a staff position having administrative responsibilities. Wall is an Advanced EMT, and been with WAEMS many years. She had a break in service, returning to the department a few years ago. 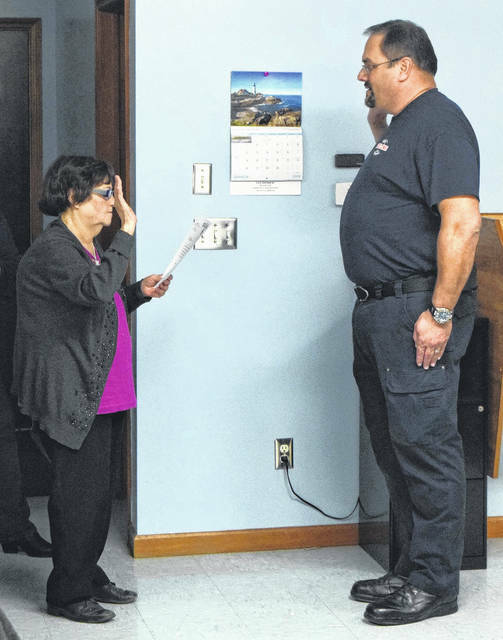 https://www.registerherald.com/wp-content/uploads/sites/41/2018/03/web1_EMS-1.jpgDiana Wall was promoted to EMS Lieutenant. Her position will be a staff position having administrative responsibilities. https://www.registerherald.com/wp-content/uploads/sites/41/2018/03/web1_EMS2-1.jpgSteve Weigold will be serving as West Alexandria’s new Assistant EMS Chief.